First Lines: It was almost December, and Jonas was beginning to be frightened. No. Wrong word, Jonas thought. Frightened meant that deep, sickening feeling of something terrible about to happen. This book has caught my attention since it was on the Great American Reads list last summer and did so well. And then this month, this was an option for my students to read in a book project, so I decided I needed to read it. In the community, everything is planned to perfection. Your job, your spouse, your kids. Everything big has been decided for you and no one minds because it creates stability. There’s no unemployment, no divorce, no fighting…and no choice. Everyone is the same, except for Jonas. At twelve, it is time for Jonas to begin his training for his future career. But while everyone else is getting normal jobs, Jonas is chosen for something really special. He begins his work with a mysterious man known only as The Giver and discovers that power lies in feelings. And when someone he loves is threatened, Jonas has to decide how far he’s willing to go to break society’s rules. Ok, I know that some of what I say is going to be controversial here, since it’s such a beloved book. But I had a hard time getting into the story. First of all, I thought everything started off so slow. I know it’s world building (and there were definitely interesting parts to that), but I didn’t really get into the story right away. I couldn’t connect. I didn’t start connecting until we finally got to the Ceremony of Twelve. I liked the scenes involving The Giver and Jonas. Those were an interesting commentary on our world and theirs. And I liked seeing the way Jonas suddenly saw his world after. That was all really interesting. But I felt like the plot wasn’t full enough. Everything, to me, felt rushed. 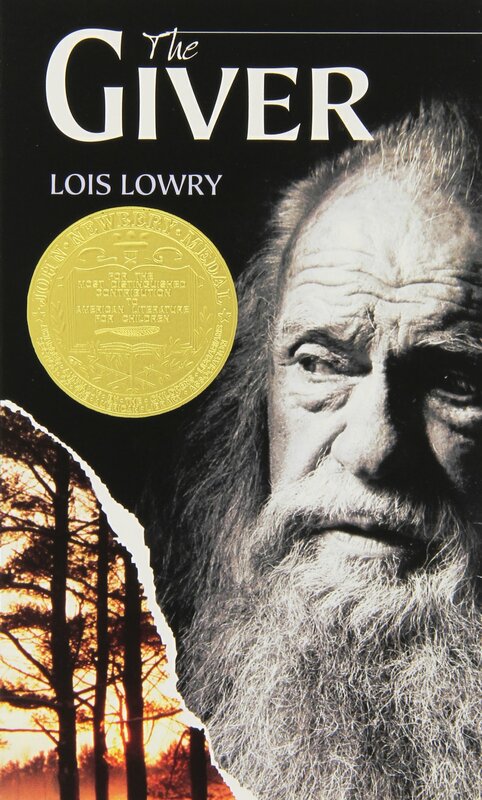 I didn’t feel like we saw enough with the Giver, that we saw why their world was the way it was. And that ending? Totally abrupt. I didn’t care for that, even though I think it’s supposed to be that way for a reason. Maybe I’m just outside the demographic. Maybe because I didn’t have an attachment to it as a child, it doesn’t appeal to me as much. Whatever the reason, it wasn’t my book. This is the movie adaptation of Ruta Sepetys’s Between Shades of Gray novel. I saw the trailer for this a few months ago and completely freaked out. This is one of those books I reread every couple of years and I love it so much. So to have a movie on it? I’m in. But it didn’t have a wide release and I found it on accident on a streaming service my library has. If you’re unfamiliar with the story, Lina is a young girl growing up in Lithuanian in 1941, just as Stalin is invading most of Eastern Europe. 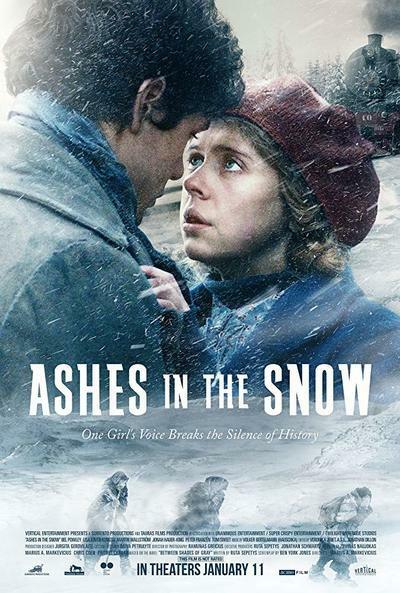 Her family is taken by the NKVD and sent to various work camps in the heart of the Soviet Union. With her father separated from them, Lina tries to hold on to hope that she’ll see him again while struggling to survive. It’s a journey spanning years, but if Lina’s going to survive, she’s going to need all the help–and hope–she can get. I want to say that before I watched this, I saw a review that warned me die-hard fans were going to be disappointed because the movie changed things. That was my attitude going into watching this. I don’t want to say that I was disappointed, though. Obviously, I knew events would have to be changed for the movie. Time constrictions being what they are, obviously things are cut. But the movie was…kind of weird. First of all, and I’m not entirely sure why this unsettled me so much, there’s no voice-over narrator. As events happen, there’s no narrator explaining what’s going on or what Lina’s feeling. And I get that these events are chaotic and that needs to be shown, but I was wigged out about the lack of narrator. I think it’s because there were long stretches of unexpected silence, and that doesn’t happen very often in movies. And the plot was actually really true to the book, with the exception of leaving things out. For the most part, I was able to mentally check off what was going to happen next and I knew where we were in the book. I thought some parts were going to be different to avoid showing some of the brutality (the movie’s rated PG-13), but actually, it was more brutal and disturbing than I thought it would be. It does not shy away from some of the realities of their situation. What was a little different were the roles of Lina’s mother Elena and Nikolai Kretzsky. In the book, Lina is our only narrator. In the movie, we see events where something happens to Elena or where Kretzsky is with the other commanders and Lina is nowhere in sight. In a way, I liked that. I liked seeing some of the events that the book only alludes to because Lina isn’t there to see it happen. But some of Kretzsky’s scenes are the most disturbing of the entire movie. The one thing I was disappointed with was how small of a role Andrius had. I know he’s not the most prominent person in the book, but he’s a vital character. And here…he’s not. That would be one thing I would change. It wasn’t the most faithful or the best adaptation of a book that I’ve seen. But it wasn’t bad. Events that readers adore and/or remember are there. The pocket watch. Ona. Drawing the Commander. The grueling train ride. It was nice to see a lot of these moments brought to life, but I kind of think maybe I’ve read this book too many times to be enamored with the movie. I have solidified my own mental pictures of scenes. Hey guys! So I had a little trouble interpreting what this list should be about. Is it actually like, books I’d read on rainy days or books I’ve already read and make me think of rainy days? Or books with rain on the cover? Clearly, I put too much thought into this. I decided that I’m going to share what basically amounts to my favorite snuggle into the couch, block out the world, lose track of time reads. These are (mostly) books that I reread more often than I should probably admit because in one way or another, they make me feel good. This was first on my list because I just reread it about two weeks ago, when I was reading Courting Darkness. 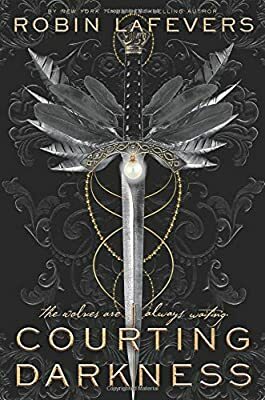 This is my favorite book in the series because I have a real affinity for unconventional love stories and historical fiction, and this combines both of them. And no matter how many times I read it, I feel like I’m in Annith’s shoes all over again, even when I know what happens next. By far, this is the one I’ve read the most. I’ve probably read it 10 times. I adore this simple story with compelling characters. Kate’s mother is dying of cancer and Henry (also known as Hades) promises Kate he’ll keep her mother alive for the next 6 months if Kate will go through the testing to become his queen. It’s such an easy story to get sucked into and there aren’t many subplots to get lost in. Perfect for rainy days! Let’s not even lie that this is a guilty-pleasure read. Actually, scratch that, I don’t even feel guilty about it. The Host is incredible, as I recently rediscovered. I feel like Wanda every single time I pick it up, from her nerves and anxiety to her hope and wonder. I can block out the world around me in moments when I pick this up. 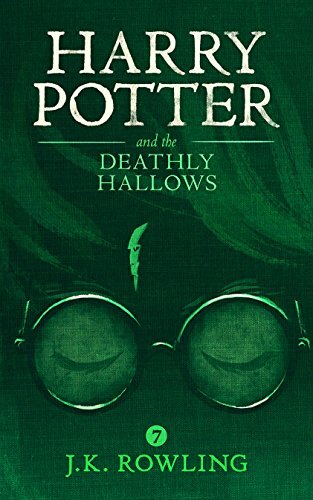 I love this series and this book in particular. In a dystopian world where angels and demons run the show, you’ve got little Penryn running around trying to protect her family from the biggest, nastiest thugs on the planet. It’s action-packed, suspenseful, funny, and gripping. It’s perfect for reading in large chunks on the couch. Speaking of angels, this one is another one of my favorites. Angelfire is more romantic than Angelfall, but it still has the action and the bad guys out to kill our main characters, so that’s always fun. This one is so dark at times that it’s nice to be able to snuggle down when reading it. I’ll be the first to admit that I’m not especially religious, but this book hits all the right notes. It starts in such a dark place and improves from there. It’s addicting and heartfelt and uplifting. This is a dangerous rainy day read because then I want to reread the entire series again and that takes longer than a day! Oh my gosh, I really need a rainy day to reread this one. Man, it’s so good and I finally have the entire series in my possession! (One of them was even at my local Dollar Tree for $1 IN HARDBACK! You’re fricking right I bought that.) It’s so interesting and different and funny that I can’t turn this series down once I get started. So. Brooks Rattigan is a high school senior desperate to get into Yale. 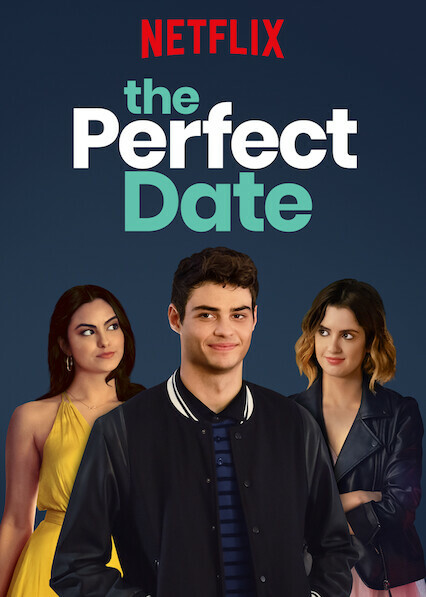 However, money is incredibly tight, so when he overhears a classmate complaining about taking his cousin Celia to homecoming and being paid to chaperone her, Brooks offers to take his place. It’s a quick way to make money, right? And Brooks quickly realizes there’s a market for his services as a Stand-In date. With the help of his friend Murph, they make an app that lets girls customize their date with him. But, as Brooks soon finds out, being a Stand-In means losing a part of yourself. I thought this was really cute. (And CLEAN! Well, like almost entirely. Like 2 curse words, but for a Netflix YA movie? CLEAN!) I make a big deal out of that because I like to be able to point my students/friends’ older kids toward great YA movies and I can’t with a lot of them. So this is huge. Right. So I thought it was really cute. Brooks (played by Noah Centineo) is charming and funny. He’s driven and intelligent, meaning he knows how to get the job done and will go to any length to do it. It was funny watching him get into some truly bizarre situations. But he could also completely turn it off and be genuine and sincere, which was delightful. The plot, while fairly predictable, was still fun. I knew what I was going to get going into this, so it didn’t bother me. And, this being more true for the last half hour or so of the movie, it tries to overhaul some of the tropes you’re expecting. While it doesn’t completely do away with them, it does kind of flip them on their head. There were a few changes that I really liked. The acting in this was pretty good, barring the intentionally cheesy moments. Honestly, Centineo was pretty amazing and I’m not agog over him. His ability to play so many different personalities in this was so fun to watch and I was quickly impressed by that. So grab the popcorn or chocolate covered pretzels and settle in with a friend to watch this. It’s a lot of fun. First Lines: Dad tells me the wood is not a place to play. It is a place for business, and it is more powerful than I could ever imagine. He tells me I cannot forget the rules of the wood. There are three. Do not travel from the paths. Do not linger after dark. Do not ignore the calling. I found this at the library and I picked it up because it looked creepy. I like creepy. And it looked sufficiently different to be interesting. Winter never wanted to be a guardian of the wood, but when her father vanishes one morning, it falls to Winter to make sure any accidental travelers who come through the portals make their way back home. But the wood is poisoned and is turning into something far more sinister. Leaves ooze a black ink. Shadows linger. 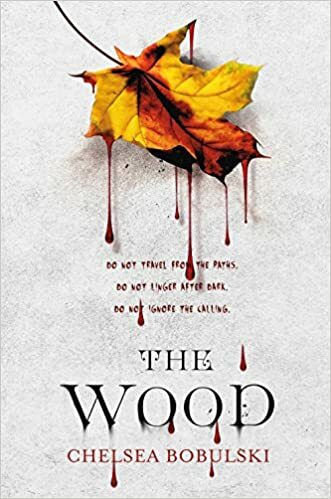 Winter, with the help of Henry who comes from the 18th century England and knows more than he should about the wood, needs to put the wood in order and figure out what’s actually going on before people die. What I liked about this was the mix of genres. It is a bit like a fantasy, with strict rules for protocol or you could die. It’s tinged with paranormal as Old Ones (fae) are in charge of the Wood. And it’s also mixed with some historical fiction as Henry comes from the past and has to acclimate to the present. I liked that these genres blended together so seamlessly. And I liked the relationship between Winter and her mother. With the disappearance of Winter’s father, things are tense between her and her mother. It was well-done because it felt real–the distance, the lost feeling, the fear that something could happen to Winter, but with the underlying love of family. That was easily the best relationship in the whole book and it’s not often I say that. The romance and the plot were decent. I mean, they didn’t bowl me over. The plot’s a bit predictable and it feels rushed at times, though I still enjoyed seeing certain parts of it unfold. The romance, if I may call it that, was a little bit clunky, though it had moments of surprising realness. And this book really wasn’t creepy at all. All that hype for something that was cool in a dark way but definitely not scary in the least. That was disappointing. Since this is a standalone and not a series (a rarity in fantasy, it seems), it was kind of weird the way it ended. Everything felt hurried because it was all wrapped up in a single book. I understand that it needed to be that way; I’m just apparently not used to it. And it’s not the book’s fault. There wasn’t anything I openly disliked about the book. The bare bones of it are actually pretty good and execution wasn’t bad either. It was just that certain tidbits felt off-kilter to me. Hey everyone! So with a topic like this, I simply couldn’t pass this up. This should be funny, right? But also, like, maybe this makes me a crazy person, but I don’t feel like what I did was always that bizarre? I mean, I’ve done all the usual things. Book release parties, midnight premieres (all of Harry Potter, of course), etc. But that doesn’t make me crazy…? I guess we’ll see how I feel at the end of this. By far, I feel like this was probably the nuttiest thing, looking back. But I was desperate to know how it ended. I went to a release party at my library with my friend and my mom (I wasn’t old enough to drive at the time). We stopped at a store on the way home to buy the book at 1 AM. I stayed up until 5 AM reading. I slept for 5 hours and did not put the book down again until I was done. Maybe this doesn’t sound so crazy…yet. But that day, my younger twin brothers had a baseball game that I was forced to go to. And you’re darn right I brought that book with me. I read in the car, even though I get hellaciously car sick. I read in the stands during the game, literally ducking to avoid foul balls. My brothers were known as the “foul ball kings” because they hit so many of them. I finished the book at 10 PM that night. Did I remember much of it afterward? Nope. But I knew how it ended! This was when I was in like, elementary and middle school. I’d be on the bus and I’d get dropped off at the end of my addition. My addition is a dead end–basically, the only people who drive it live there. And traffic is minimal most of the time. I was fine. I walked on the side of the road (no sidewalks) and I looked up when anyone was coming down the road. So I wasn’t oblivious. But yeah, I probably did that most days. This is my really gushy “I’m finally getting Belle’s library!” moment. You are absolutely right that the first thing I did upon looking at this house was determine which bedroom would be my library. Forget my bedroom, I wanted to know where the library was. And so far, I’ve been able to decorate it with 2 Harry Potter paintings that I’ve done. I’m hoping to add more soon. Again, mostly Harry Potter related because those are just adorable. Right now, my collection is fairly small because I’m trying to control myself here, but I have a lot of my favorites. I have 2 Harrys (one in his Quidditch uniform and one from Azkaban when he’s roaming the halls in his PJs), 2 Hermiones (one from Stone and one from Azkaban after she’s used the time turner), a Draco (it came in an OwlCrate or something), a Lupin, and a Lockhart. I’m really wanting to add a Ron to my collection, but I have a hard time finding him at my usual stores. And it’s more fun to find them in the wild than just going to Amazon. But outside of HP, I have a few other bookish ones too. I have 3 Belles (duh), a Gaston, a Claire Fraser from Outlander, and a Charlie from Charlie and the Chocolate Factory. *cough* That’s a small collection…right? OK, THERE’S A REASON FOR THIS. The first sweater I made was my first real attempt at ever knitting a sweater. I made it with too heavy of a yarn and it was way too hot. It was also really lumpy and ugly and the greys I used were supposed to be the same but they weren’t and it looked like a dark stripe across my chest. I wore it once for Halloween and then the next year I worked on making a new one, as I grew in my skills. It’s still not perfect, but at least it’s lighter! Still hot though. This only happens when I go to my city’s main library! So I’m lucky enough to live in a town that is well-known for its library system and has like 9 satellite branches around the county. Normally I only go to the one closest to me, but it feels like a treat to go to the bigger downtown library. I’ve been known to walk out with stacks so big that I literally get weird looks from people as I leave. I will be holding my hands down as far as I can and my chin craned on top to hold the stack together as I leave the building, WALK ACROSS A BUSY STREET, unlock my car, and dump it all inside. You know it’s been a good day when you get weird looks from strangers. But yeah. I mean, I have a lot of books. I just bought two more like a couple of days ago. But it was a going out of business sale and paperbacks were $1 each! I only bought 2 books! Granted, they were 2 collections of books in the Soul Screamers series by Rachel Vincent, so it was really like buying 6 books. I’m actually proud of this one. For the first few years I was teaching, I made a March Madness bracket for my students to vote on their favorite books each week of March. It was really cool, even if a lot of 8th graders were telling me they read Diary of a Wimpy Kid and that Amazing Nate or whatever that was called. But a few teachers talked to me later about trying to adapt it to their classes, and I thought that was cool. This is just PRACTICAL. Books have like $0 resale near me. I took something like 50-60 books (granted, most of them being old chapter books) to my local Half-Price Books and I got $8. That was it. It was horrible. So, in order to make sure that I’m spending my money wisely, I buy books that I’m most likely to reread/the ones I loved the most. If someone gifts me a book or I see a good deal on something I think I’ll like, I have no problem buying it (especially if it’s on sale), but I just hate to try to sell books somewhere when I’m done with them. So I just try to keep it to the books I love the most and never really want to part with. I mean, probably the most outrageous thing I’ve done for books, right? Actually, the outrageous thing is that I’m still doing this 8 years later and that you guys are still reading it! I’m truly grateful for it, don’t get me wrong, but this all just started because of a stupid college assignment and it morphed into this. I love it. I love you awesome nerds. I feel like this needs to be said: we all do outrageous things for the things that we love. Sports fans dress up in costume and go to games. Some people collect cars. What we book nerds do is just as valid. We are feeding our passions and reveling in what we love most. We find others who love books as much as we do and we gravitate toward each other. As book nerds, we like books. We like the way they make us feel, the way we can get sucked into a good story, the way we can use books to connect with people in the real world. We fall in love with characters, we slay dragons, and we overthrow governments. There is nothing wrong with any of this. You are allowed to be as passionate and as “outrageous” as you want to be. Of course, we all have those moments where we go, “Yeah, maybe I went a little too far that time,” but that doesn’t mean you need to stop loving what you love. People get jealous of those who know what they love. Don’t let the Muggles get you down, alright? First Lines: As I stand on the battlements of the besieged city, looking out at the disarray before me, it is clear the god of Death has taken to the field. While this could be said of any battle–death and war are old friends, after all–today He rides a black horse, a pale-haired rider hunkered down in front of him. Sybella, a daughter of Death, has worked hard to serve Him as his hand of justice. In accompanying the duchess of Brittany to France, they’re always surrounded by enemies–something Sybella is more than used to. But Sybella has a new mission: protect her younger sisters from having the same abusive childhood she had. With this taking up so much of her time and energy, Sybella needs help to protect the duchess. Her only hope is two novitiates that have been buried deep in the French court for the last five years–if she can figure out who they are. Genevieve has been at court for so long that she barely remembers who or what she’s supposed to be fighting for. Her only friend of late is the prisoner that everyone else has forgotten about. When tragedy strikes Genevieve’s world, her only recourse is to take her fate into her own hands, even if it means ignoring the convent that raised her. As Sybella and Genevieve’s lives move ever closer, everything they hold dear could be lost if their timing is even just a little bit off. This was pretty much what I had hoped it would be. Most of our favorite characters are back (with Sybella and Beast being the two we see the most of), but we also get to meet Genevieve, a novitiate who has been biding her time in the French court for the moment her first assignment would reach her. And in the meantime, she finds a man close to death in a dungeon…because that’s what these daughters of Mortain do more often than not. For as much as I do genuinely like Sybella and Beast, I was more desperate for Gen’s story once we got started. I liked the novelty, the newness of it all. I liked seeing her background and how that made her who she is. That’s what I loved so much about the other books–we saw their distinct personalities and how their lives had shaped them into what they were. We already knew who Sybella was, so that wasn’t as much fun initially. Though I will admit her story got a whole lot more interesting after about the halfway point. It took a little while for me to really get into this story, and not for lack of interest. It was just that, between two narrators (Gen and Sybella), it took a long time to get both of their stories rolling. It’s the nature of the beast. Two narrators means two stories in one. In all, though, this contained everything I love about this world/series. It plays on the idea of gender roles, since we have female assassins who are more than capable of taking care of themselves in a fight and don’t appreciate anyone telling them what to do. But we also have lead men who respect this–in fact, most of the time they even encourage this independence. It’s the minor characters (both male and female) who try to make our assassins fit the typical mold. If you enjoy drama, court intrigue, suspense, and a little bit of romance, this is the book and series for you. I absolutely adored this. This story was awesome and I’m really excited to see what the next book brings. I have high hopes for it.